Kaunas, Lithuania's second city, is facing serious challenges as its population shrinks and young families move to the suburbs. Sociologist Apolonijus Žilys of Vytautas Magnus University said that city planners should pay closer attention to demographic developments when making decisions. "For the city to develop, we must take note of the current demographic, political, economic and social situation. Only then will we be able to make consistent and strategic decisions," Žilys said. As Lithuania's population is shrinking rapidly, the country's towns and cities are competing for people as well as investment. Kaunas City, unfortunately, seems to be losing not just to the capital Vilnius, but also to suburban areas in Kaunas District. 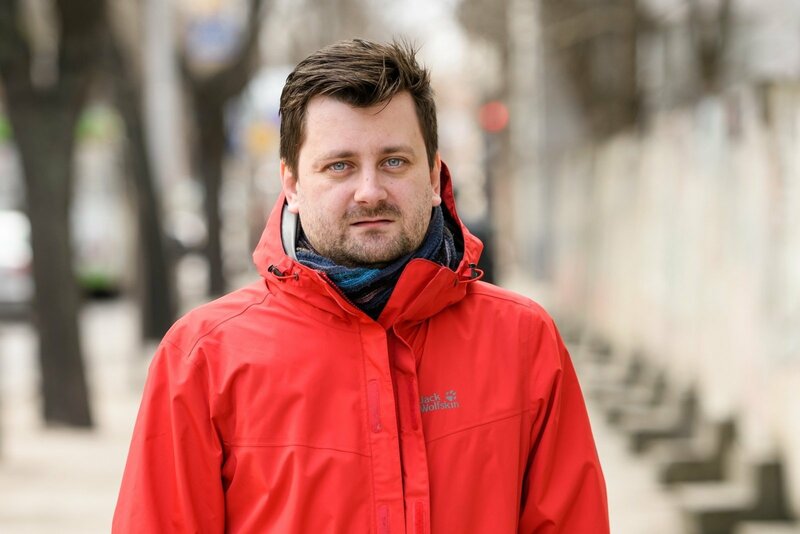 "Judging by the population census in 2001 and 2011, Kaunas City lost 16.5% of its population during the period," Žilys said, adding that other towns in Lithuania had not fared better. Klaipėda city population contracted 15.8%, Panevėžys by 16.7%, and Šiauliai lost 18.3% of its people. Vilnius was the only city that sustained the size of its population despite a trend of national depopulation. However, while the population in Kaunas city contracted, that of the surrounding District of Kaunas grew 3.2% over the 2010s, suggesting that people are moving to suburbs, Zilys said. "Depopulation in the city and expansion of the suburbs will be serious challenges for Kaunas in the future," he said. Statistics Lithuania’s data suggests that Kaunas is not only shrinking but also ageing. Žilys noted that in Kaunas, there are 141 people over 65 for each 100 children under 15. By comparison, the coefficient in Vilnius is 101 and in Klaipėda, 120. Kaunas District is significantly "younger" too, with 96 elderly people per 100 under-15-year-olds. 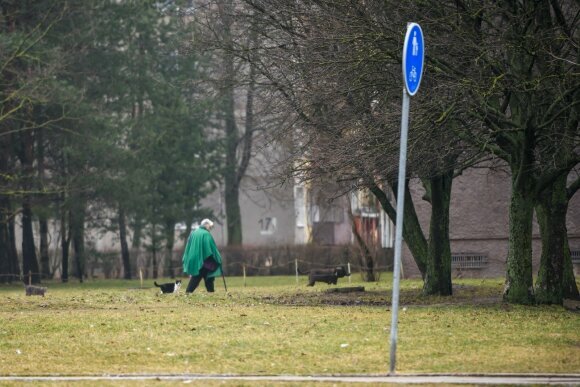 "This points to the problem of demographic ageing in Kaunas: contraction of the overall population and losing competition to suburbs over young residents are pressing issues," said Žilys. A recent study of urban populations by the Social Research Centre of Vytautas Magnus University has revealed that population ageing is not evenly distributed across the city. Neighbourhoods like Dainava, characterised by Soviet-era mass-produced housing stock, are ageing most rapidly. "The study has revealed not only that Soviet-era residential areas are the first ones to face the risk of depopulation and household ageing, but also that young families with small children tend to chose suburban areas when making long-term housing decisions," Žilys said. "These areas become dominated by younger financially active and demographically more productive residents." Choices that young families make about where to buy a house or an apartment are of great relevance to Kaunas as they affect "the city's tax base, public finances, infrastructural maintenance, and business-friendly environment". A big share of the housing stock in Kaunas dates back to the Soviet era and is in a poor condition. The national government's programme to renovate old apartment blocks has not taken off in Kaunas, with less than 1% of the old housing stock renovated over half a decade. The Lithuanian Builders Association said that new development projects were concentrated in Lithuania's big cities, which is why renovation is less intense than new construction. With a shrinking population, does this mean that Kaunas might become a ghost city in the future? "There are different ways this can play out. True, most new buildings are constructed in the big cities. Naturally, people move to new housing, if they have a chance. But it is likely that some areas could be left deserted," Žilys said. He cites Detroit, Michigan, as an extreme example of urban depopulation. From a city of 1.8 million in the 1950s, it has fallen to 600,000 since its car industry imploded. "The city has lost a big share of its population, it emptied out and is now in the process of being demolished. They say about a third of the city will be torn down, because there are no people, but I doubt this could happen in Lithuania," Žilys said. "What if Kaunas lost 50,000 more people? Everything is possible then. But Detroit is an extreme example, I don't think something like that is possible in Kaunas." Lithuanian cities and towns are more likely to experience what East Germany underwent several decades ago, according to Zilys. "The demographic situation and other conditions and migration in many cities of the former East Germany was similar to that in Kaunas. Dresden, Leipzig, Chemnitz and other cities in Saxony are characterised as 'contracting'. "These cities lost population when Germany was unified and thousands went to what used to be West Germany. East Germany initially renovated housing, invested massive funds into infrastructure, but people simply didn't want to stay in those cities and they were vacated. The Germans then realised that investment into housing renovation did not pay off," Žilys said. "Then another process started. They started reducing the number of stories of each building. They would knock down three floors of a five-storey building, leaving just two. This way, there are no unused properties." There might be a silver lining to fewer people living in a city, Žilys said. "Compared to other European countries, Lithuania has a low stock of living space per capita: 28 square metres per person in cities and a little more in the country. This might sound drastic, but the emptying out of cities might leave more apartment space to people who still live there in cramped conditions." Eurostat data from 2012 suggests that the average area of a housing unit was 102 square metres in the EU and only 68.1 square metres in Lithuania. In Kaunas, the average dwelling is even smaller, 61.7 square metres, according to Statistics Lithuania. Romania is the only EU country with smaller lodgings, 46.9 square metres. While Russians on average live in 58-square-metre apartments. "If there is more housing available, there might be the possibility for people who now live in cramped dwellings to move in. How would they do it? Hard to say. Perhaps the market will make these units cheaper, perhaps the municipality will subsidise their purchase or make other political decisions," Žilys said. With younger families moving out of the city, and old Soviet neighbourhoods in decline, some innovative thinking will be needed for Kaunas to tackle the challenges and potential opportunities that depopulation brings. Based on a story by "Savaitraštis Kaunui"